Jersey City, NJ is known as a cultural melting pot and an artist’s mecca – much like her big sister across the Hudson…New York. The city is known for magnificent murals and street art, local art crawls and the Powerhouse Arts District. 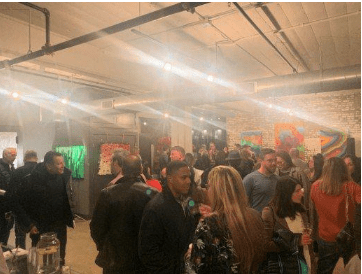 So, it comes as no surprise it was buzzing like bees on the first day of spring as Cuban-American Artist, Mark Finne, opened his “spring aw8kening” art gallery show. 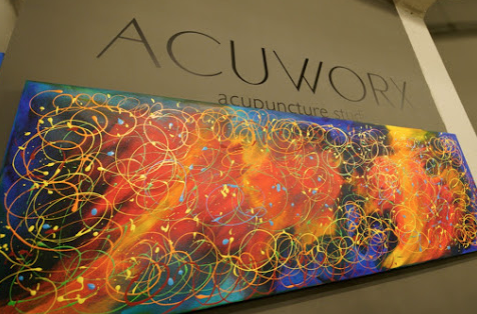 In honor of wellness, the arts and the longer days ahead, VIP guests attended the opening soirée hosted at Acuworx Acupuncture Studio. The collection features 17 pieces of Finne’s dynamic, original acrylic on canvas paintings. With a kitschy spin on phonics, the titles of his work add spice and humor to the landscape…think “P. Air”, “Eye Here Yoo” and “Knot TiPickle”. 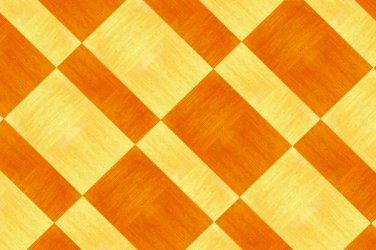 Color palettes encompassed the full range of ROYGBV, though the artist’s favorite color orange is the headliner. As an added bonus, the artist uses an exclusive technique that creates a 3-D pop when wearing Chromadepth glasses. Finne shared insights into his inspirations and how travel and scuba diving are two of his largest muses. 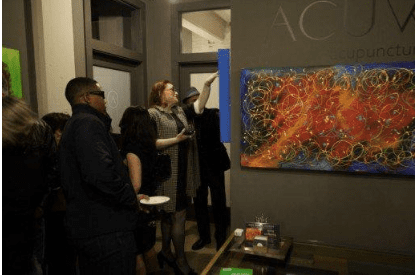 Though acrylic on canvas was the spotlight for this particular show, he told guests he is also an avid photographer and mixed media artist. 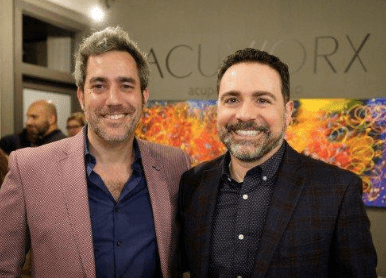 Given their dedication and commitment to community, both Finne and Greek-American Ioannou, are thrilled to partner with the Big Brothers Big Sisters organization (Essex, Hudson & Union Counties in New Jersey). 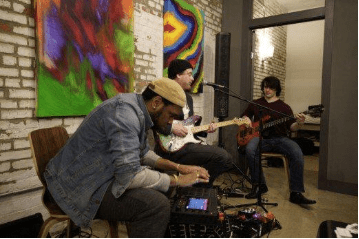 With a ten percent donation from sales, they hope to be in instrumental part in the cultural enrichment and continued education of local children. 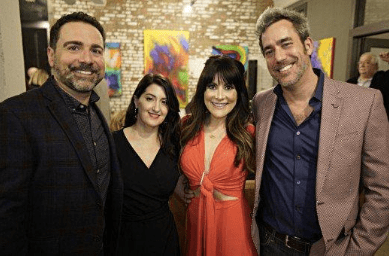 Guest were not only treated to vivid work on the walls…the opening reception offered a bevy of other entertaining surprises. 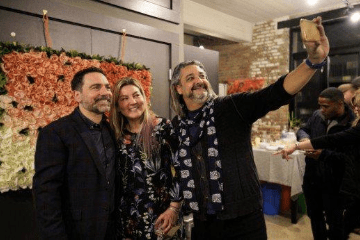 Local musician Kieran Sullivan set a jazz-funk beat as the backdrop of the night; a hand-crafted flower wall hung in one corner, offering guests a place to snap a selfie; complimentary ear seed applications were offered along with mini tarot card readings with Zenobia Simmons. Not your typical art opening…to say the least. All 17 pieces will be on display thru summer at the location. 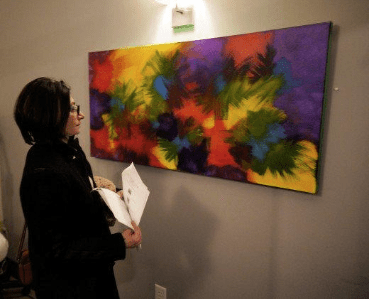 Finne’s work will also be showcased (8 pieces – the artist’s favorite number) in the main lobby of Vito A. Lofts.